BPI Sports Roxy Review – What’s missing? BPI built the hype over Roxy and they had everyone expecting something revolutionary in thermogenics. What they got was flavored softgels. Although the softgel release was quite a letdown for many, BPI Sports Roxy still had a strong market presence, thanks to BPI’s Project You marketing campaign. At first glance, there’s nothing much going on for BPI Sports Roxy, other than the fact that it has lemon drop-flavored soft gels. 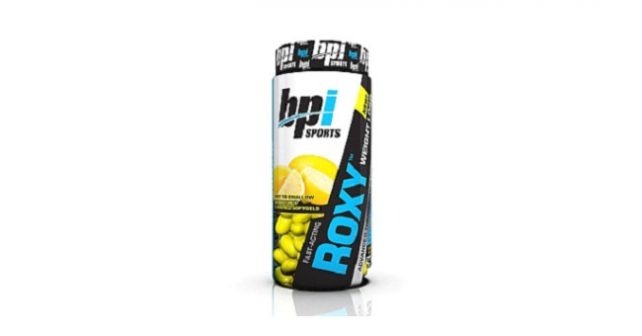 BPI Sports Roxy was introduced and marketed initially with free samples on the website, which many customers loved. They were able to get quite a following with the fitness industry, many of whom are citing how fast BPI Sports Roxy is absorbed by the body, and how quickly they felt an energy gain. Given that BPI Sports Roxy is delivered in yummy lemon drop-flavored soft gels, it’s just expected that it will be broken down by the body easier than film-coated supplements. While all of that sounds good, what’s missing in Sports Roxy? We took a closer look at BPI’s Sports Roxy to find out why many customers are saying that Sports Roxy is not enough. Through its soft gel delivery, Sports Roxy is absorbed faster, and with faster absorption comes faster depletion. Many customers are reporting a sharp drop in energy after feeling the effects of BPI’s Sports Roxy. According to the reviews, the only effect that lingers once the energy boost is gone is the appetite suppressant effect that Sports Roxy has. BPI’s Sports Roxy may appear to be an effective thermogenic supplement for some, but for many customers, the niacin flush was further aggravated by caffeine. Niacin is one of the thermogenic ingredients of Sports Roxy. Niacin causes blood vessels to dilate, allowing blood to flow freely. Dilated blood vessels cause body temperature to go higher, which results in thermogenesis. Needless to say, there were many customers who were surprised at the severe effects of niacin. Needless to say, the blend is quite unique, given that Boerhaavia extract and lycopene do not have anything to do with thermogenesis. Other than those two ingredients, all others fall into their own category of thermogenics, appetite suppressants, and vasodilators. Niacin is a dangerous ingredient for thermogenics. There are a lot of people who have experienced an uncomfortable niacin flush. There are many other alternatives to niacin as a thermogenic. It would have helped if BPI went through the safe route and chose another thermogenic instead.